Great movie lots of meaning. Extremely well done movie. It really gets to the heart of the matter. You walk through the hard times of war with the families left at home as well as the soldiers with blood on their hands. Everyone would benefit from this film. Take advantage soon because it will not be shown for long. Beautifully executed. Tissues will be needed. Great movie very well done made me proud to be an American wish you would keep the movie until nov. 3 I want to watch it again. Excellent story line, well acted. Authentic and moving with a redeeming ending. 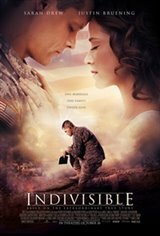 This was a great movie, showing some of what it is like for those who have PTSD returning from the war, any war. The actors were all great, very well done. Loved it. One of the best movies I have ever seen. The actors and actresses who played in this movie were awesome! It was portrayed realistically and very emotional. Engaging, encouraging and relatable true story. Provocatively emotional subject matter realistically portrayed.